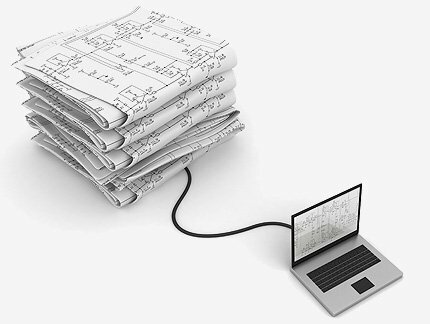 People often come to us to convert their paper designs to CAD format. Our CAD drafting and conversion services can be beneficial to both old and new designs. There is only so far you can get with a paper design but with CAD technology you can open up far more possibilities than ever before. With our CAD drafting and conversion services, you can begin your designs on paper then we can take those designs and convert them into CAD format. This format presents many benefits. -You can look at your work from different angles which aren’t available on paper form. -You can edit without the need for erasers and pencil smudges. -You can distribute the drawings to the necessary personnel without wasting time sending the original paper copy to each person. -You can store the CAD formatted designs to a digital archive which is safe, secure and easily accessible. CAD conversion for old designs can also be very useful and beneficial for a number of reasons. -You can easily update old designs if you want your updated design to have classic or retro influences. -When architecture needs renovating, it can be useful to consult the old plans and with CAD format you can edit the designs to add those renovations. -Old designs can be stored more securely to avoid theft, loss or damage. Whether your designs are old or new, Pearl Scan can help. We convert a huge range of designs for different sectors. To view a full list of these, please see our CAD Drafting and Conversion page. If you would like to know more about our CAD drafting service London, Manchester and across the UK or request a quote, get in touch today.